Afive-person troupe called Aerial Artistry was performing at a private show for 700 people at the opening dinner in the Bird's Next party and concert tent at the FBR Open golf tournament when the accident occurred. Jose Angel Vera was doing his aerial stunt of slowly unraveling his body from a sash while suspended in the air, when something terrible went wrong. Vera fell to the ground and was unconscious when EMT arrived. An investigation is taking place to determine what caused the accident. Actor Daniel Hoevels, in Suicide Scene, Slits Throat on Stage with a Real Knife- Rather than a Prop Knife! Austrian police are investigating why Daniel Hoevels who was portraying a dramatic suicide scene at Vienna's Burgtheater, used a real knife prop, instead of the dull knife prop, he was supposed to. When Hoevels slit his throat, blood came rushing out, and when he did not get, up the audience realized what had happened. Hoevels is out of the hospital, but very lucky that he didn't cut deeper- or he would have cut a carotid artery, and now be dead. Sounds like a subplot for an upcoming Law & Order episode, if the series is still on in 2009. 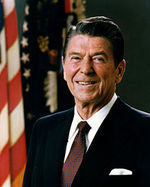 A one man stage show portraying the life of Ronald Reagan is being readied for Stage production in 2009 by the producers of the award-winning Give em' Hell Harry and Richard Pryor- Live in Concert. The book is being written by the esteemed award-winning writer Lionel Chetwynd, (Ike- Countdown to D-Day; Siege at Ruby Ridge; Nixon and Kissinger) and discussions are underway with a major star. Producing the Stage Play are David Permut and Mark Travis who have collaborated over the last 25 years on countless productions. Plans are to open the stage play in late 2009 and film the final performance. The Play has the blessing of the Reagan Family. The Big Question is- Who is the Major Star? No Doubt the Conservative Talk Media will latch on to this, and if you know any of Lionel Chetwynd's works- it will be fair and balanced! Who is Advising Barack Obama? Is it a Republican? A Greek Temple As the Stage for his Acceptance Speech? First off, I am an independent. I used to be a Republican, and before that I was a liberal Democrat. So I have seen it all over the years. 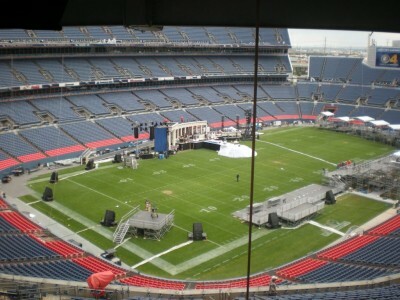 But I know Political advisors, and when the pictures began showing up of the stage setting from Denver's Invesco field for Barack Obama's acceptance speech- that of a Greek or Roman Temple....I had to shake my head. Russ Limbaugh ran with the topic today. "Does he think he is a god?". What is the reason for such an elaborate setting- Is Obama a rock star? Hasn't anyone heard "less is more" Why not a simple stage with an American Flag. Rosie O'Donnell in Talks to Host Variety Show on NBC From Broadway Venue? NBC is in the cellar of the Networks Ratings Race, and appears to be throwing anything against the wall ......with the buzz today that Rosie O'Donnell may be back for the peacock network as host of a TV Variety show emanating from a Broadway Theater is another exclusive from Fox New's Roger Friedman and is making the rounds of news sites, and blogs. The talks are just talks, but enough to mention that the show could be an Ed Sullivan type show with music, variety, comedy and drama. Stars could sit in the audience and wave, just to get themselves on camera. Will this Help Rosie O? Will This Help NBC? Will two generations past go for an Ed Sullivan Type Variety show. All this remains to be seen. Roger Friedman- Rosie Back to Network TV? MTV Is Remaking a Classic! The Rocky Horror Picture Show! Variety is reporting that MTV is going to remake "The Rocky Horror Picture Show" The two hour production will use the original script, and some new music may be created for this production. The original Rocky Horror show has grossed over $140 million dollar, much from midnite four wall showings. Original Producer Lou Ader is involved as is Berman/Braun and Fox Television, and no casting has been set. Since this story just broke, I cannot find any stories on how Rocky Horror purists feel about a remake of the classic that starred Susan Sarandon, Barry Bostwick, Tim Curry, and Meatloaf. You remember Tricia Walsh-Smith, the unhappy wife of Phillip Smith, the Broadway Mogul, who took to the Internet to air her grievances prior to the divorce. Well, the Judge said this about the Video- "a calculated and callous campaign to embarrass and humiliate her husband" and to pressure him into settling the divorce case on more favorable terms than were stated in their prenuptial agreement. Walsh-Smith has 30 days to move out of the couple's Park Avenue apartment, and is entitled to only $750,000 as per the pre nuptial agreement. Walsh-Smith is NOT HAPPY about the decision- and I am wondering if she will take to the Internet again with her grievances? The first time did not work too well. 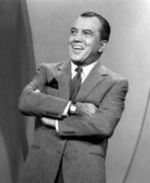 Carol Burnett's Second Banana Harvey Korman Dies! Harvey Korman, known for comedic work with Carol Burnett on the long-running Carol Burnett TV Show, has passed away. He was 81. Korman also appeared in many Mel Brooks Movies including Blazing Saddles, High Anxiety, and The History of the World Part 1. His comedic style and timing is rare today and he will be missed. Get This! 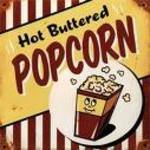 Global Warming is causing the Cost of Movie Theater Popcorn to Rise! The price of popcorn is rising. Farmers are planting alternative energy crops, displacing the movie theater popcorn crop. This scenario of supply and demand, is causing the popcorn supply to diminish- This means higher prices! At the annual ShoWest convention of theater owners- it is being reported that the price of popcorn will rise- perhaps as much as 15¢ a serving. Did I ever tell you the time I met Orville Redenbaker at a Video Software Dealers Association Show? Maybe in another post! 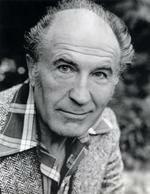 The Fugitive's Lt Phillip Gerard, Barry Morse has died! From The Canadian Press: British-Canadian actor-director Barry Morse, best known as the police detective in hot pursuit of David Janssen's Dr. Richard Kimble in the TV series "The Fugitive," has died in England at the age of 89.